The new Mayor of Erewash is Councillor Chris Corbett, who was formally elected to the role for the 2018/19 civic year during Erewash Borough Council’s annual meeting last night (17 May). Councillor Corbett has represented the Wilsthorpe Ward on the borough council since 1999 and was Leader of the Council from 2007 to 2017, when he stepped down to take up the role of Deputy Mayor. He also serves on Sawley Parish Council. 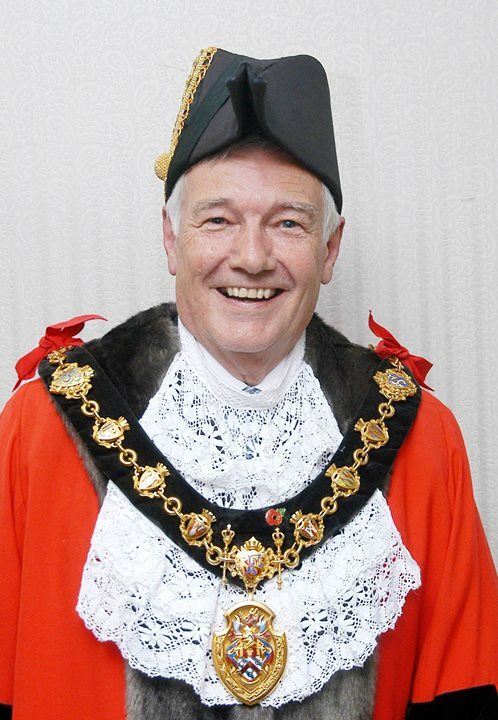 During his mayoral year, Councillor Corbett will be supported by his wife Linda and has chosen to support two local charities during his term of office – the Erewash Canal Preservation and Development Association, which is celebrating its 50th anniversary this year, and Erewash Voluntary Action (Community Volunteer Service). “We are thrilled and honoured to be Mayor and Mayoress of our wonderful borough for the 2018/19 civic year and look forward to meeting the many kind-hearted residents who work so tirelessly to help others as well as contributing to the rich community spirit of our towns and villages. Councillor Corbett was brought up in Sandiacre and enjoyed a 30-year career in banking that saw him work in Yorkshire and Scotland before returning to Erewash when he took early retirement. He is a life member of the Erewash Canal Preservation and Development Association, having been at its first public meeting in 1968 and was a founder member of Sandiacre and Stapleford Round Table 981. He is now a member of Long Eaton Rotary Club. Councillor Corbett and Linda have known each other for over 50 years and were married at St Helen’s Church in Stapleford. They have two sons and four grandsons. In their spare time they enjoy travelling and socialising with their friends and family. Deacon Terry Street, of Trinity Methodist Church, Long Eaton, will be the Mayor’s Chaplain during his year in office. • The new Deputy Mayor of Erewash is Councillor Sue Beardsley, who represents the Little Hallam Ward.